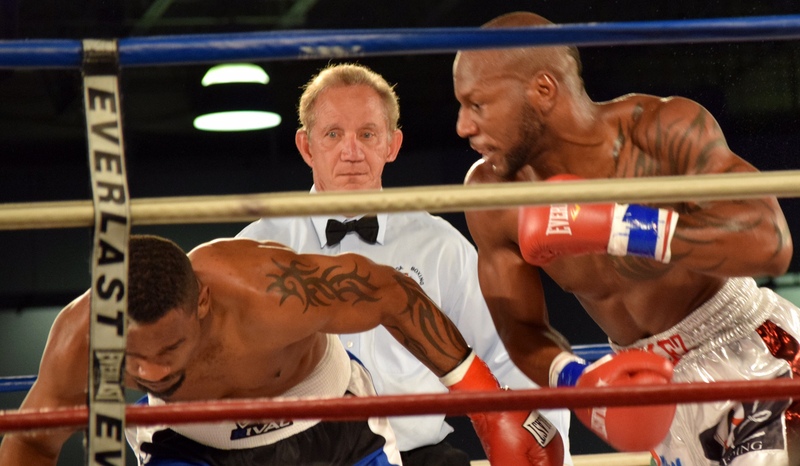 PBC on Fox Sports 1 Results: Leduan Barthelemy and Kyrone Davis Win Tuesday in CA! At the Robinson Rancheria in Nice, CA, over PBC in the main event southpaw Cuban Leduan Barthelemy, 13-0 (7), now out of Las Vegas, from the Barthelemy family, after a tough eight rounds stopped Dominican Reynaldo Blanco, 14-4 (8), at 1:30 of the ninth round when Blanco’s corner threw in the towel shortly after Blanco was dropped. The much taller Barthelemy dominated the first round as Blanco dropped down to 130 from his usual 135 on two weeks notice and used his right hand when possible. In the second and third rounds Blanco became the aggressor back Barthelemy up in a close round. In the fourth round it was Barthelemy being the aggressor hurting Blanco with a counter right hand to the head. Blanco’s right eye was starting to swell. In the fifth and sixth rounds Barthelemy continued countering as Blanco was the aggressor throwing right hands against the southpaw. In the seventh round after an even six rounds Barthelemy kept setting up Blanco with a long jab and hook hurt Blanco. It looked like Blanco’s corner was not letting him out for the ninth but out came Blanco for the ninth round. Barthelemy dropped Blanco with a right hook to the chin. His corner waved to him to stay down but up he was at eight. It wasn’t seconds before Blanco’s corner threw in the towel at 1:30 of the ninth round. In the semi-final as expected it was a war with southpaw Kyrone “Shut It Down” Davis, 12-1 (5), of Wilmington, DE, won a split decision over Mark Hernandez, 9-1 (2), of Fresno, CA, over ten rounds of action. In the opening round though only having two knockouts in his nine wins Hernandez showed power with right uppercuts while Davis forced the action driving Hernandez into a neutral corner setting the stage for the entire fight. In the second round Hernandez came back in this round and near the end of the round rocked Davis with a left hook and a pair of right uppercuts. In the third round Davis outpunched Hernandez three to one but Hernandez had power on his right uppercuts. The corner of Davis in his trainer Stephen “Breadman” Edwards out of Philadelphia kept warning him about the uppercuts from Hernandez. In the fourth and fifth round Davis put on a vicious display of body shots that were breaking down Hernandez. In the sixth round Hernandez was landing some left hooks to the head of Davis while being pushed into a neutral corner. Davis continued working the body taking several warnings from referee Dan Stell. In the seventh round in what looked like a border line shot from Davis referee Stell stopped the action and took a point from Davis. Davis did enough to earn a 9-9 round. In the eighth round Davis continued outworking Hernandez who was slowed down with a barrage of body shots. In the ninth round which was a first for both fighters Davis continued to keep Hernandez on the ropes outworking him but on several occasions would be hit with a right uppercut or left hook both to the chin. In the tenth and final round halfway through Hernandez rocked Davis with a counter right to the chin forcing Davis to hold on. Hernandez was not able to take advantage though taking the round. Scores were 96-93 for Davis, 95-94 for Hernandez and 96-93 for Davis while this writer had it 97-92 for Davis. A&T Events and Promotions in conjunction with Mundo Boxing presented an event titled “Miami Boxing Storm” on August 6 at the Miami Airport Convention Center in Miami, Florida. In addition to the boxing storm, there was a storm in the sky with thunder, lightning, and rain. There was so much rain that some of the streets were flooded and looked like rivers. There were many people who arrived late to the event. Boxing events usually start late in South Florida, but not this event. After 45 minutes, 3 four-round bouts had already been completed. The main event featured light heavyweight Yuniesky “The Monster” Gonzalez who is originally from Cuba and now lives in Miami. Gonzalez was previously undefeated at 16-0 and a rising star when he faced former WBC light heavyweight champion Jean Pascal in a ten-round bout. Despite pummeling Pascal throughout the fight, Gonzalez lost by unanimous decision due to three identically biased judges’ scores of 96-94. After that heartbreaking loss, Gonzalez faced legitimate contender Vyacheslav “Lion Heart” Shabranskyy in another ten-round bout. The fight was close and arguably could have been scored as a draw, but only one of the three judges felt that way. This judge scored it 95-95, but the other two judges who were both in favor of Shabranskyy scored it 98-92 and 97-93. As a result, Gonzalez lost by majority decision. Orlando Cuellar was the trainer of Gonzalez. 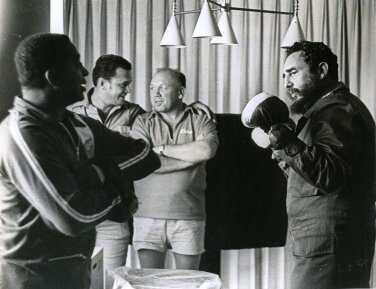 Cuellar is best known for being the trainer of former light heavyweight champion Glen Johnson when he was at an elite level. Nevertheless, Gonzalez’s handlers felt a change needed to be made and decided to hire Pedro Diaz to be Gonzalez’s new trainer. In order to get back into world title contention, Gonzalez needed to win again. The panacea proved to be Jackson “Demolidor” Junior of Brazil. Junior was previously undefeated at 15-0 and had won the Brazilian light heavyweight title and the WBO Latino light heavyweight title. However, he is no longer unbeaten as he has lost six of his last twelve fights prior to this fight against Gonzalez. 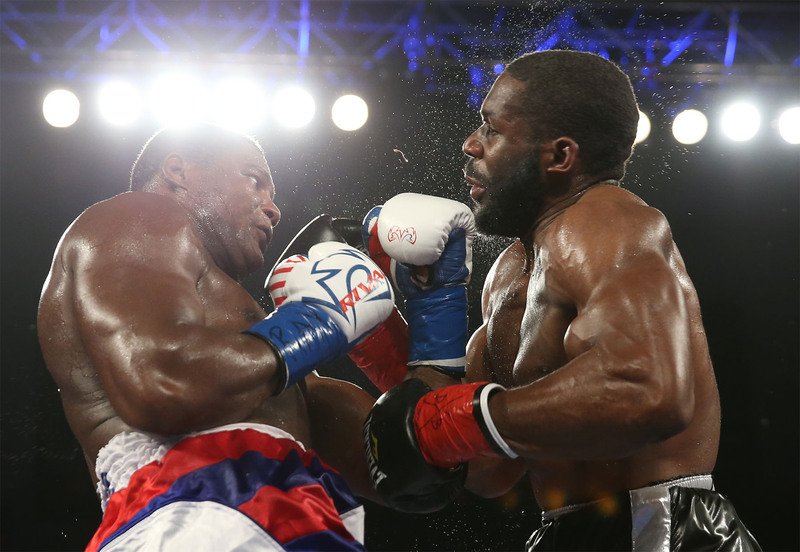 Junior tried to regain the WBO Latino light heavyweight title, but lost by TKO. He had a couple more title shots for minor belts, but lost both by knockout. Junior’s nickname is in Portuguese and means “Daredevil.” As his nickname suggests, Junior is courageous. Gonzalez was definitely a step up in competition for Junior. Their fight was in the cruiserweight division because they were about three pounds above the light heavyweight limit of 175 pounds. Gonzalez looked bigger and stronger than Junior and Gonzalez’s punching power was apparent in the first round. Gonzalez knocked down Junior three times and the fight was stopped by referee Frank Santore because the three knockdown rule was in effect. The time of stoppage was 2:35 of the first round. Gonzalez improves his record to 17-2, 13 KOs. Junior’s record is now 21-7, 19 KOs. Gonzalez said that he wants to fight again on HBO which is the television network that broadcasted his two losses against Pascal and Shabranskyy. The best fight of the event was between Courtney Jackson of Miami, FL and Ramesis Gil of the Dominican Republic. Jackson weighed about a pound under the junior welterweight limit of 140 pounds whereas Gil weighed 140.8 pounds. Jackson was the hometown favorite from Miami and had never lost in his pro career. Although Jackson was undefeated, the vast majority of his previous opponents had losing records. Gil had a losing record himself, but he has mostly fought opponents with winning or undefeated records. 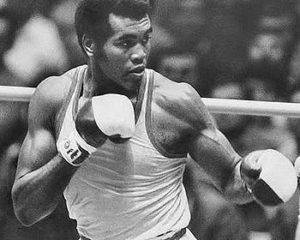 Gil did not always lose to those boxers and was able to beat a few of them which included two wins over two previously undefeated boxers. In this fight against Jackson, Gil was landing punches often in the first half of the six-round bout and Gil seemed to have the advantage. In the fourth round, Gil knocked Jackson down with a punch to the head. Jackson survived the round and came back in round five with a left hook to the head that staggered Gil, but Gil remained standing. There were furious exchanges in the sixth and final round. The three judges each identically scored the fight 57-56, 57-56, and 57-56. There was a consensus among the judges, but journalists and fans in attendance may have had a difference of opinion as to who they believe deserved to win. Gil was hurt in the fifth round, but he did knock down Jackson in the fourth round and did well in most of the rounds. Jackson was fortunate to get the win here and remains undefeated at 12-0, 6 KOs. Gil’s record falls to 10-16-5, 7 KOs. Tyrone “King of the Ring” Spong of Miami, Florida is a former kickboxing champion whose goal is to have similar success in the boxing ring. Spong is a heavyweight with punching power reminiscent of Mike Tyson in his prime. In his previous four fights, Spong won by knockout or technical knockout. His devastating power was in full effect for his fifth fight which was against Tracey Johnson of Boston, Massachusetts. In the second round, Spong hurt Johnson with a smashing punch to the head which sent Johnson reeling. Spong pursued him and unleashed more punches. Johnson was eventually just trying to protect himself and not attacking, so referee Frank Santore stopped the fight. Spong won by TKO in the second round and improves his record to 5-0, 5 KOs. Johnson’s record is now 4-3-4, 0 KO. The co-main event was a short skirmish that lasted for about one minute between legitimate super middleweight contender Roamer Alexis Angulo of Colombia and Zoltan Papp of Hungary. Papp has a winning record, but lost whenever he stepped up in competition. Not surprisingly, Papp got smeared by Angulo. In the first round, Angulo knocked out Papp in a corner of the ring. Papp slumped down while sitting on the canvas. Angulo won by KO and remains unbeaten at 19-0, 16 KOs whereas Papp falls to 11-3-1, 7 KOs. Two junior middleweights from Miami, Florida boxed for four rounds. John David Martinez made his professional debut against Jon Clifford Gray. Martinez had the height advantage over Gray and that probably made the difference in this even matchup. Two judges each scored it 39-37 in favor of Martinez while the third judge scored it 40-37 in favor of Gray. Therefore, Martinez won by split decision. Martinez won his debut and is now 1-0, 0 KO whereas Gray falls to 1-3, 0 KO. Leider Pena of Miami, Florida won his pro debut as a super middleweight and defeated Ryan Soft of Minnesota. Soft was a soft opponent for Pena. Soft took a beating and was bleeding on his face which could have been from his nose, mouth, or both. Pena landed several punches as Soft fought valiantly, but referee Sam Burgos stopped the fight at 2:21 of the second round to save Soft from further punishment. Pena won by TKO and is 1-0, 1 KO after winning his debut and Soft is 3-6-1, 1 KO. Antonio “Bang” Williams of Fort Lauderdale, FL is also undefeated at 4-0, 3 KOs after winning by unanimous decision against Brian Santos of Puerto Rico in a four-round bout which was in the super featherweight division. The three judges all scored the fight 40-36 in favor of Williams. Santos’ record is now 0-2-1, 0 KO. Lightweight Ivan Jimenez of Ecuador is still undefeated at 5-0-1, 3 KOs after winning by unanimous decision in a four-round bout. Jimenez’s opponent was Ryan Picou of Las Vegas, Nevada. Picou’s record is now 2-11-1, 0 KO. Junior middleweight Henrique Oliveira of Brazil stays unbeaten at 3-0, 2 KOs after defeating Miguel Queliz of the Dominican Republic by unanimous decision. Queliz’s record is now 6-2-1, 3 KOs. The WBA World Super-Bantamweight clash between champion Guillermo Rigondeaux, and challenger Jamie ‘Jazza’ Dickens, certainly didn’t fail to produce the world class touch that many had paid to see. Sadly, in the short two rounds that were witnessed, it was only Rigondeaux who produced that small glimmer of class. After a steady start, Rigondeaux quickly got his eye in and dealt a fatal left-handed hook shot that broke the jaw of Jamie Dickens. Leading up to this fight, Rigondeaux, or as he is better known ‘Rigo’, had been caught up in a Visa complication which ultimately led to the cancellation of the previously arranged fight with Dickens, back in March. However, with everything during the build-up running much smoother this time; the fight was all that was left to complete. Rigondeaux and Dickens, as you could suspect, both talked about defeating one another in their own spectacularly envisaged ways pre-fight. But with Rigondeaux appearing extremely focused through all the press that he had done, in addition to the public pad work sessions where he showed off how quick and skillful he is, it was widely thought that he was going to make light work of Dickens and claim yet another scalp to add to his perfect record of 16-0. In all fairness his opponent cannot really be criticised for last night, after all, despite receiving a few lightning quick combinations from Rigondeaux in the first, of which he countered twice respectably, he never really got the chance to get going. Once he was back in the corner at the end of the second after Rigondeaux’s venomous overhead left, it was unanimously decided among the Dickens team that it was game over. The heart of Dickens wanted to fight on, but sadly for him the heads in his corner knew it was too big a risk to continue. Speaking after the fight, a dejected Dickens tells of the motions when Rigondeaux’s left connected. “Yeh, I knew straight away it was broken. I felt the crack when he landed. I felt it hanging off but I thought that I could carry on. I thought if it was meant to be I could get him but I knew that if he connected again, it was just going to come right off. It is unknown at this point as to how bad the damage on his jaw is, but one thing is for certain; The sound that the overhand left Rigondeaux delivered could probably have been heard all the way back in Miami, Florida. It was crisp, clear-cut, powerful… and thrown at the speed of light. Dickens was wobbled and appeared confused from damage, but, somehow managed to survive the onslaught. After the fight speaking to Box Nation (Who hosted the fight on U.K television), Rigondeaux said that he wanted to stay in the U.K and fight again but only if Frank Warren would like him to. Frank Warren (Queensbury Promotions) was, of course, grinning from to cheek at the mere notion of that idea, Rigondeaux and he then subsequently shook hands in the post-ringside interview. 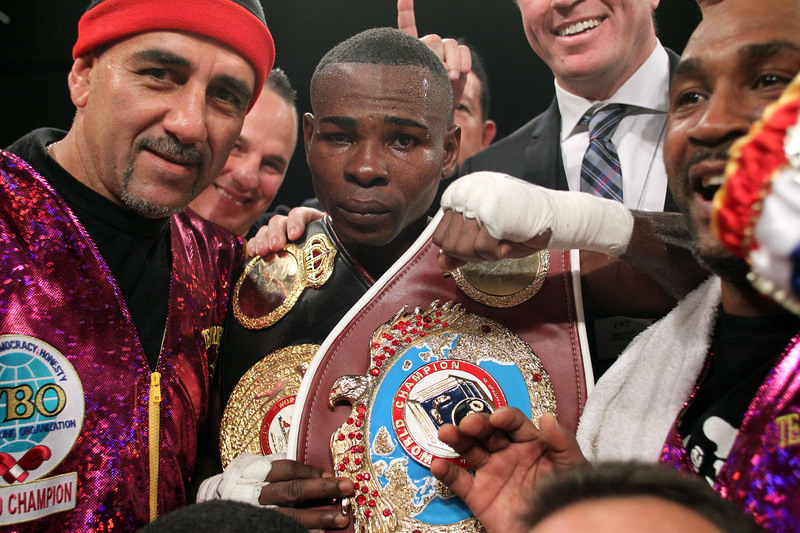 The future for Rigondeaux remains to be seen, at 35, this may be his last push to secure some big main event clashes. Carl Frampton and Scott Quigg were two of the fighters named post match, and Rigo appeared un-phased about who could potentially be put in front of him, the only question on his mind; when and where?. An interesting night of Boxing in Cardiff for sure. The British & Commonwealth Super Welterweight Championship match between Luke Williams and Gary Corcoran producing arguably the best fight of the evening, in what actually turned out to be more of a highly energetic street fight than a boxing match. Williams landing some crushing blows to Corcoran in the early rounds, more memorably a swiftly executed hook managed to open up a large gash above the left eye of Corcoran. His corner then left with the job of keeping patched up thereafter. Going into the final rounds it was all very ‘from me to you’ with the ever-changing shift in momentum. Despite somehow managing to remain composed from an earlier knockdown (which wasn’t classed as a knocked down as he miraculously bounced off the ropes and landed back on his feet) Corcoran was trying absolutely everything he could to try and slay Williams. But, the opposite happened and after withstanding a lot of tidy jab-by-jab work and meaty body shots, Williams pulled out a stunning KO from his almost empty locker.